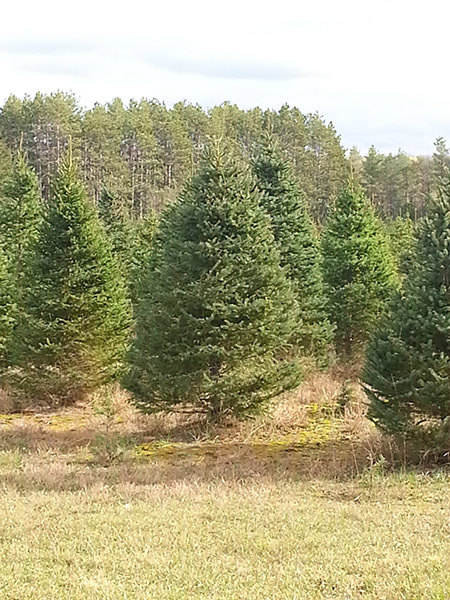 We are a family owned and operated Christmas tree farm in Hockley Valley. We offer a variety of services including retail cut-your-own, corporate tree installation and decorating as well as wholesale sales to retail and fundraising tree lots. We have Spruce, Fraser and Balsam firs of various sizes ready to cut. We are open for cut-your-own events weekends starting the last weekend in November through until Christmas Eve. Start a family tradition complete with free hot chocolate by the fire! We offer free tree baling and assistance in securing the tree to your vehicle. Prices range depending on size and type of tree. We strive to make sure that everyone finds that perfect tree!